DIN-Rail Mount Advanced Climate Control Module that installs near HAVC unit to save cost of wiring and to eliminate the need for standard ugly thermostats. 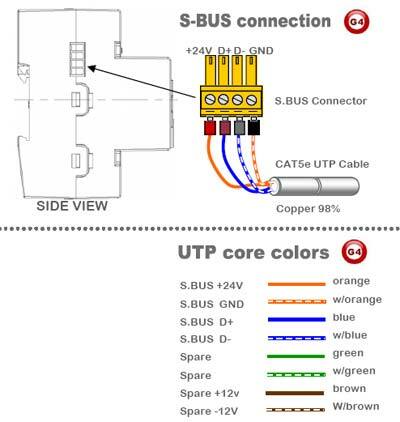 being S,BUS enabled it can be controlled flexibly from any DDP panel and any BMS Automation Software. The HVAC2 Module can control Single and Multi stage Units (Heat, Cool, Fan low, High, Medium, VAV 0-10VDC) it can Handle any FCU, AHU, VAV System. 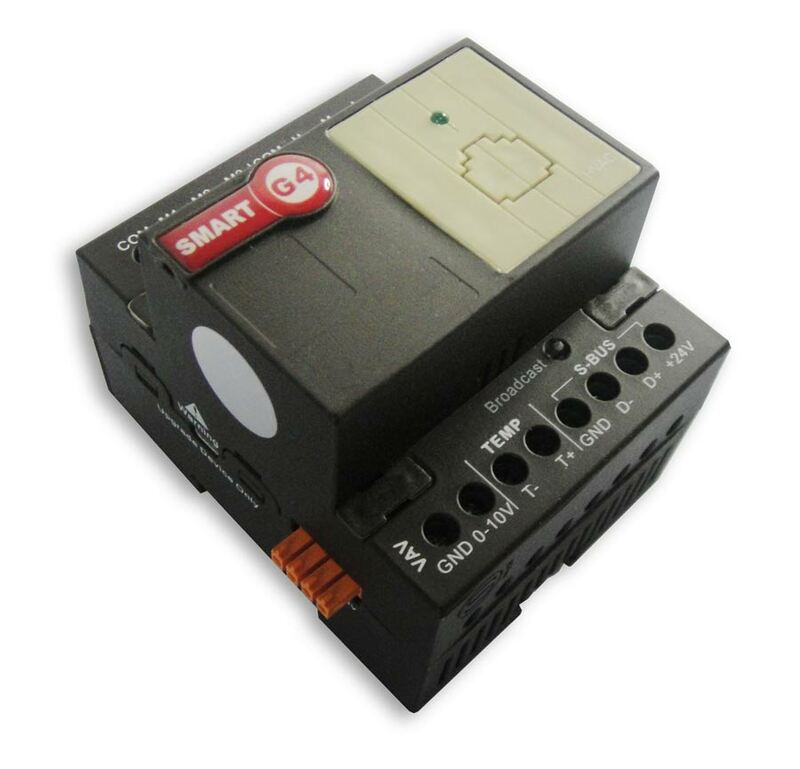 With easy labeling space, Comes ready with LED indicator, network health, broadcast button. Good for applications witch require energy saving, Health intelligent control such as residential, commercial or industrial. 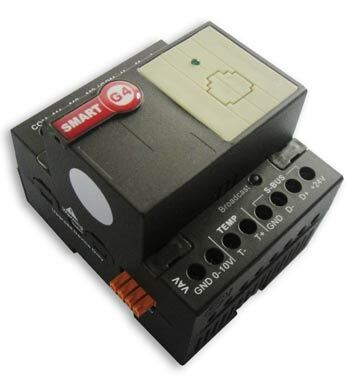 **Advanced: HVAC2 Can be Manually Programmed by any Electrician on site without need for PC. outputs rated at 5A each Ch. • Startup Delay 0-25 Sec. Cool temp Preset, Heat Preset. Q. Can HVAC2 Work without need to purchase DDP? Q. what systems can the HVAC2 control? Q. Can HVAC2 Control different fan speeds? Q. 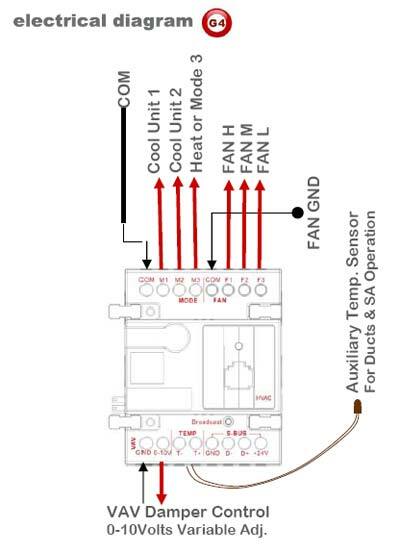 Can HVAC2 Control Heat Pump HVAC type, or multistage type? A. Yes, the new HVAC2 (G4) is designed to work with both types, and to handle single and multistage (2-3 AC cooling units). Q. 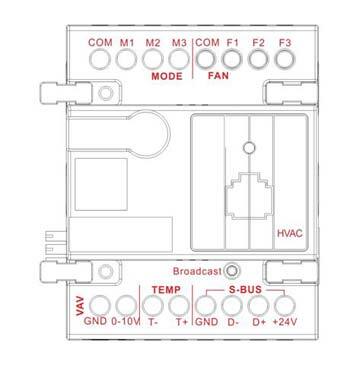 How can we control IR operated Systems like Split AC?